Hear the islands tropi-calling with this floral-inspired ring. 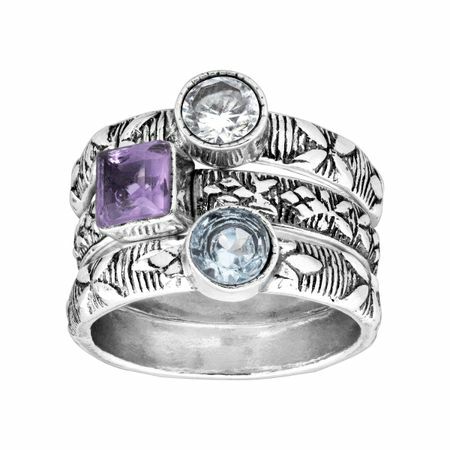 A natural amethyst, blue topaz, and cubic zirconia are set on each of the three stacking rings, crafted in sterling silver and engraved with a floral design. Rings measure 9/16 inches in width stacked.